You can display your contact details on the contact page. Contact details are the most important part of the website. Your visitor can find easily your location and contact details. You can add details using Appearance Customize. 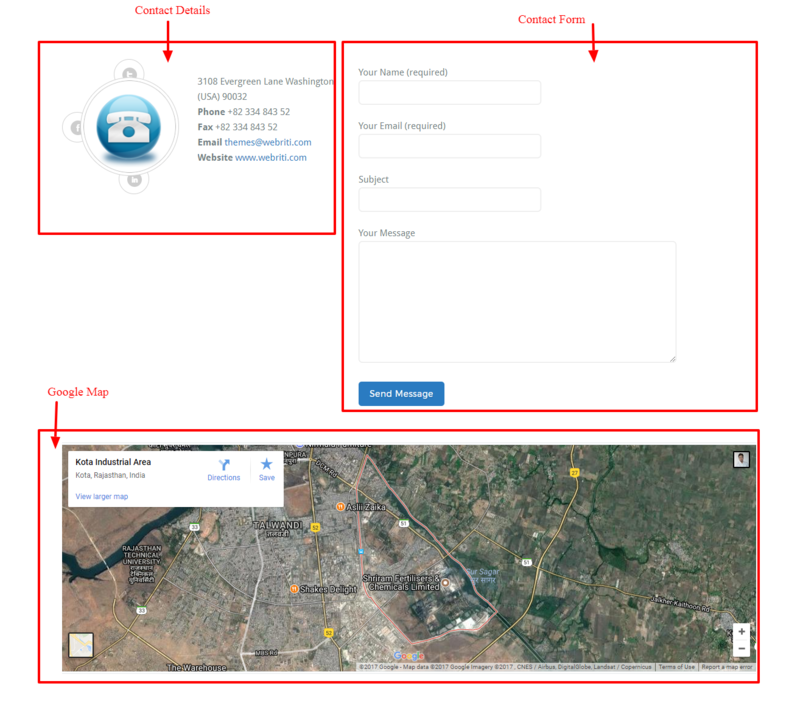 Now I will explain to you how to manage contact page details like Google Map, contact info, and contact form. Refer the screenshot. 1. How to Change Contact Page Details? Here you can change your contact details like that address, fax, website, email and contact number. If you don’t want all contact details? You can disable this section. Refer the screenshot. 2. How to Add a Contact Form on Contact Page? You can add the contact form on Contact Page. You can use the Contact Form 7 plugin for WordPress to quickly add a contact form on your Contact Page. Refer the screenshot. Go to Plugins => Add New and search for the plugin “Contact Form 7”. Click “Install” and then click on “Activate” to install and activate the plugin so you can use it. Click on “Contact” in your WordPress Dashboard left side menu panel. 3. How to Change Google Map Location? How to add contact info in top header section BusiProf theme?